Lou Friedman handed off the keys to the Planetary Society -- and a few worlds as well -- to new Executive Director Bill Nye, all captured in a tongue-in cheek video. Bill also presented Lou, a dyed-in-the-wool Yankees fan, with a special retirement gift from himself, the staff and the board -- two original seats from Yankee Stadium. After trying them out with his wife Connie, Lou later quipped, "Hmmm -- maybe I will REALLY retire!" While Lou is stepping down as executive director, he plans to stay actively involved with the Planetary Society, overseeing the LightSail project and working with other programs. 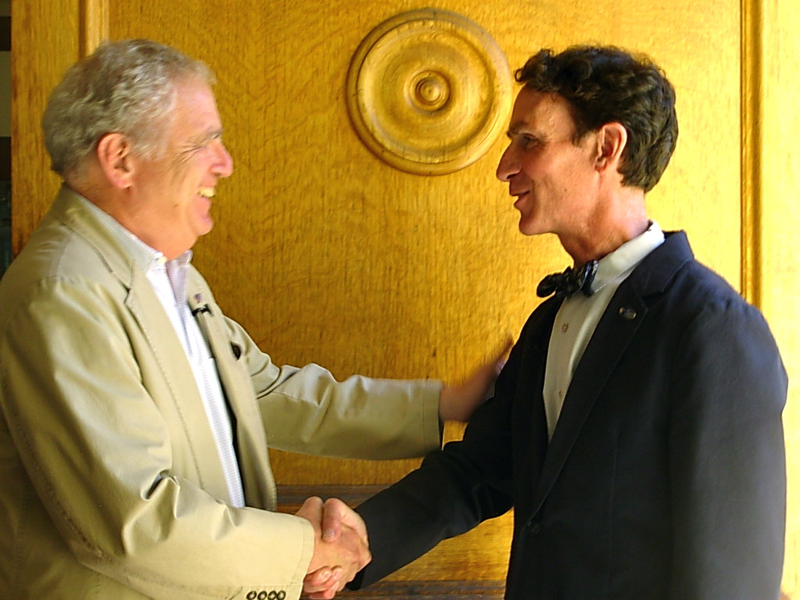 Outgoing Executive Director Louis Friedman greets incoming Executive Director Bill Nye. 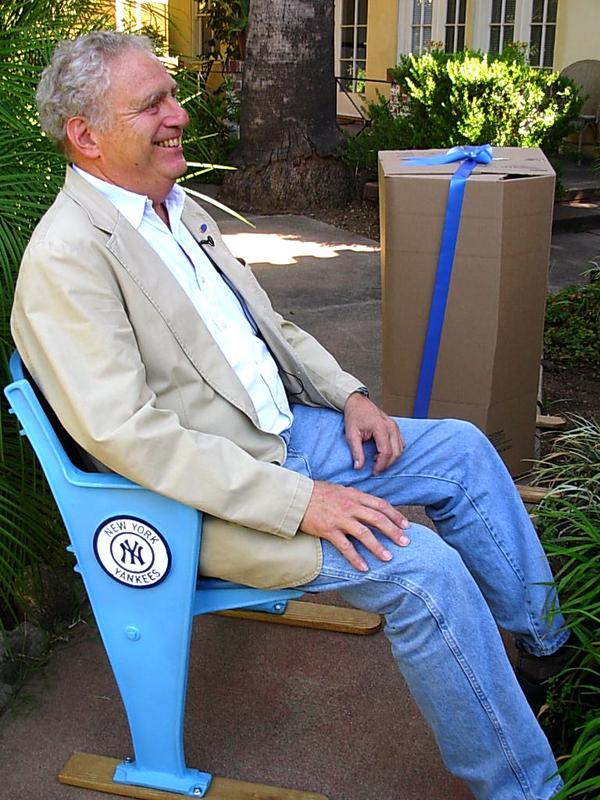 Louis Friedman enjoying his gift -- seats from Yankee Stadium.